Harvey says a bad flight on a family holiday as a youngster was nearly enough to put him off air travel for good. He maintained an interest in the ‘workings’ and the ‘magic’ of aviation but really wasn’t too keen to climb onboard an aircraft. In 2014 Harvey was lucky enough to be nominated to take part in a month long trip to Africa through a joint programme between his school and the charity JOLT. It was on this trip that he was forced to face some of his fears. 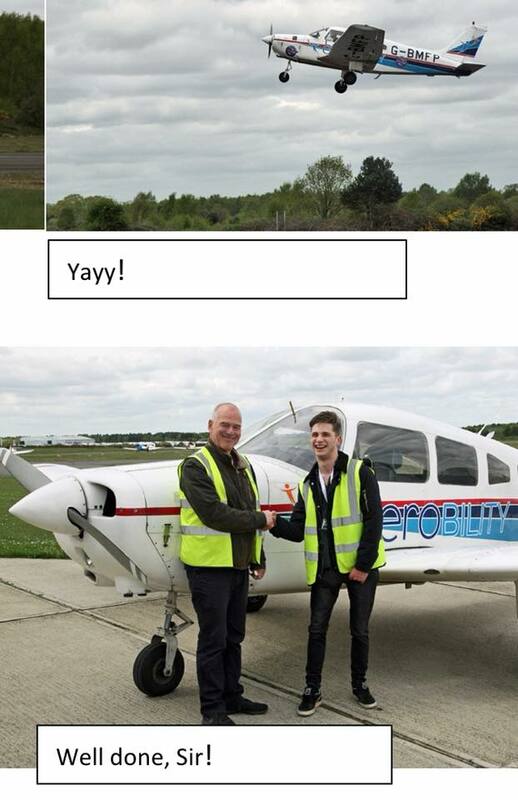 He returned to the UK with a different outlook and by early 2016 he felt confident enough to book his first lesson at Aerobility. Footnote: Harvey is now also one of our Front Desk Volunteers and assists with the day to day running of our reception and bookings area.